Welcome to 4G and our very first monthly update. One of the things the children have discussed as a class and it has caused a great deal of excitement is the fact that all the children who use joined up letters in their handwriting in a neat and tidy style will be able to apply for a ‘Pen License’, This means they will be able to use a pen rather than pencil in their exercise books. Pen licenses are very sought after and a high standard of written presentation must be maintained as they can be revoked if handwriting reverts to being messy! 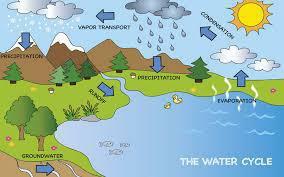 Our first topic of the new academic year is called 'Water Water Everywhere'. It is a science based topic that is always well received by the children. Some of the things we will be learning about are the water cycle, how water pollution affects the environment, the importance of clean water for health and electricity (making circuits). The topic is very practical and includes many hands on experiments and investigations. You will receive a paper copy of our topic web, please keep it handy so you talk to your child about what they have been learning about in class. Thank you to all parents and carers who attended our 'Meet the Teacher' session in the 4G classroom. It is heartening to see how interested you are in your child's education.